Meet Happy the Shih Tzu. Happy was dumped by his family. 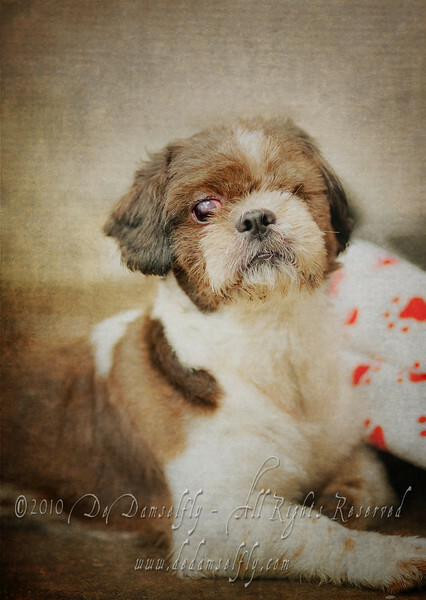 Fortunately his lucky stars were shining on him and he was spotted by Angeline and Alex who picked him up and took him in and fostered him for more than a month. 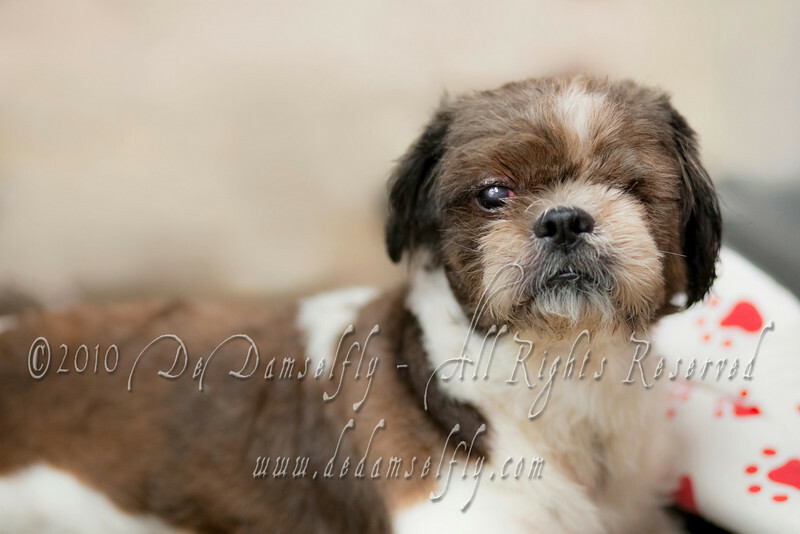 His left eye was badly infected and had to be removed. There is still some infection in his right eye but he is being treated for it with eye drops. 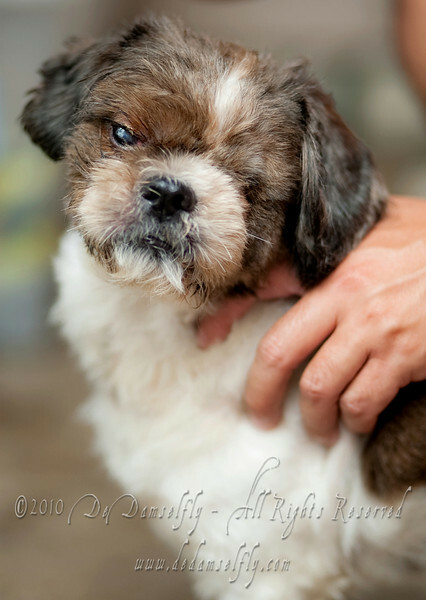 His foster family were no longer able to care for him and he is now up for adoption at Mdm Wong's Shelter. 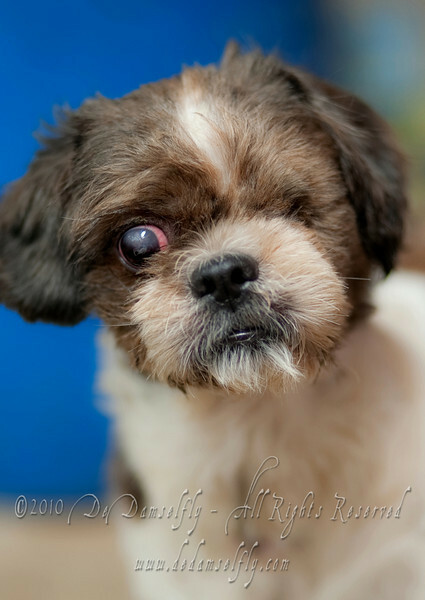 Care should be taken when approaching Happy as he only has one eye, approach slowly and make sure he see you so that he will not be startled. He is an active and sweet boy who loves scratches and tickles. Not recommended for families with small children as he needs to be approached with care as he cannot see too well. Here is Happy looking regal in an artistic portrait. If you would like to give Happy a forever home, please contact Mdm Wong's Shelter at 91027973.